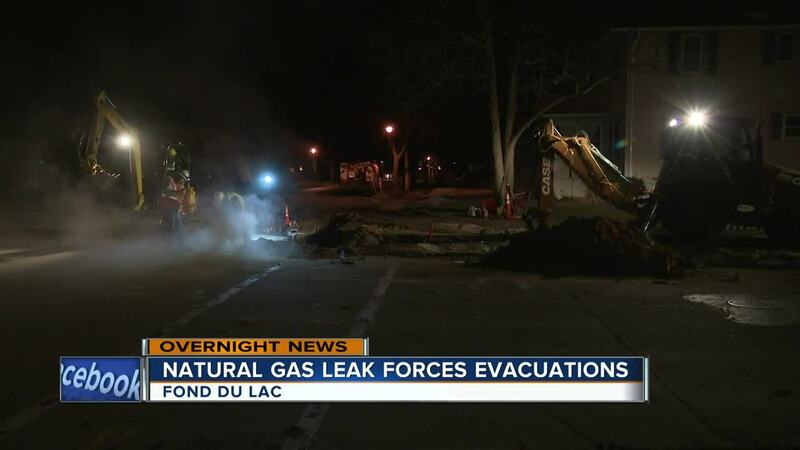 FOND DU LAC, Wis. — More than a dozen people were evacuated from their homes after a natural gas leak in Fond du Lac. The leak happened in the area near 13th Street and S. Park Avenue. Alliant Energy officials say 15 people were evacuated from 12 homes from about 6 to 9 p.m. Monday. Everyone has since been allowed back home except for one home for precautionary measures. About 6 Alliant Energy customers will be without gas for a few hours as crews continue to fix the leak. Alliant Energy has been able to track down the area where the natural gas is leaking underground. Roads in the area will remain closed to traffic until the gas leak is fixed. Officials said they expect the leak to be fixed by Tuesday afternoon. Officials say this is why they put oderant in gas, so people can detect a leak when it happens.